Are you considering your first cruise as a special needs traveler? Still wavering on your final decision? Read about the benefits of cruising and why, for those with special needs, cruises are a wonderful way to travel. Planning your trip might take some time, but there are a few things you’ll want to keep in mind throughout the process. Below, find some of our top tips. 1. Book through a travel agent: Using a travel agent is one of the best ways to ensure that you’ll get the best deal andthe best cruise to suit your particular needs. To inquire about SNG affiliated travel agents, visit us online at www.specialneedsatsea.comor contact us at 1.800.513.4515. 2. Plan early: The early bird gets the worm. 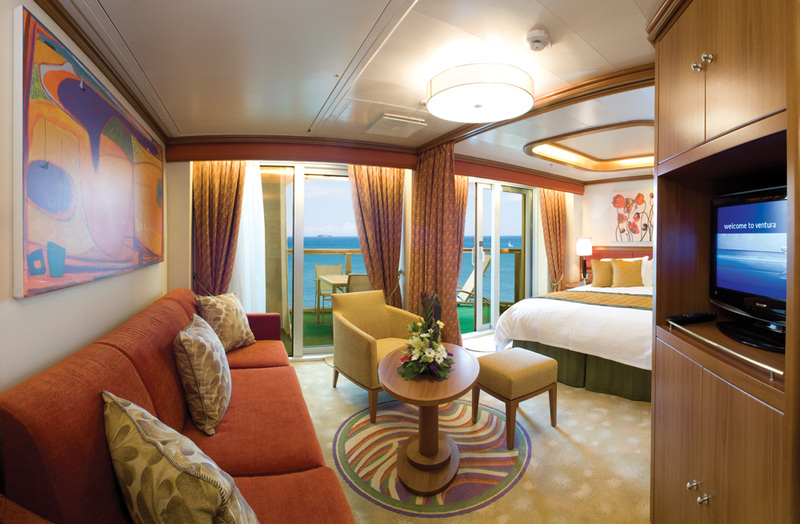 Or, in this case, possibly the best deal (or the best stateroom view). Keep in mind that summertime is peak season for many cruise lines and destinations, so if you’re planning a vacation for the coming season, you’ll want to book as soon as possible to ensure that the vacation of your dreams is available to you. Additionally, if you need an accessible room, cruise ships have only a limited number available (just like hotels), which is another reason why booking early may be a good idea. 3. Do research and choose your destination carefully: When planning your cruise and your shore excursions, recognize that some ports will be more accommodating than others to special needs travelers. If your itinerary includes ports that require tendering (see our blog post on tendering here), you will need to double check that you’ll be permitted to tender with your wheelchair, power chair or any other necessary equipment. Your travel professional will be able to guide you. 4. Call ahead: Once you’ve narrowed down the cruise line and destinations you’d like to visit, be sure to call your travel professional to inquire about accommodations for special needs travelers. Remember to ask about handicapped-accessible staterooms, embarkation/debarkation with a wheelchair or power chair, accessible restrooms onboard, ports that may require tendering, accessible dining accommodations, and anything else specific to your needs and/or equipment you plan to either carry onboard or rent and have delivered. 5. Carefully consider what to pack: Make a list and check it twice. What medications will you be bringing? Will you need to bring extra batteries or chargers for your special needs equipment? Will you need help with your luggage and/or equipment once you arrive at port? How is the weather expected to be while in port and at sea? These are all things to keep in mind when you’re packing for your trip. 6. Bring along medication information/emergency info and contact information: If you’re bringing prescription medications on your trip, it’s a good idea to carry a card with a list of all your meds, as well as emergency contact info, such as your doctor or a family member. Keep this in your wallet or with your other, important documents (tickets, passport, etc.) during the course of your trip. 7. Travel with a friend or family member, if possible: Not only is travel with your friends or family more fun, it is also safer. This holds true for anyone traveling abroad. You’re in for some amazing experiences on your cruise… share the wealth! 8. Arrive for embarkation as early as possible: If you have troubles with mobility, you’ll want to arrive at your port of departure as early as possible. Try to beat the crowd. You never know how long the check-in process will take. Besides, you paid for the trip. So, you might as well enjoy every moment you can. 9. Rent equipment to make your voyage as easy as possible: Whether or not you have your own special needs equipment, it is a good idea to make arrangements to rent a wheelchair, mobility scooter, oxygen equipment, and etc., and have it delivered to your cabin. Convenience and the ability to have the equipment you need is a must for a great trip. Special Needs Group offers a variety of equipment to make your voyage as enjoyable as possible. Visit us online at www.specialneedsgroup.com/reserve-equipment. 10. Enjoy! This is your vacation… make the most of it! Cruising can be a wonderful way to see a variety of destinations in a short period of time, without the hassle of flying or arranging for land transportation. Both on board and in port, we know you’ll make some amazing memories. Special Needs Group / Special Needs at Sea is the leading global provider of wheelchair rentals, scooter rentals, oxygen rentals and other special needs equipment rentals. It also offers a broad range of special needs equipment for purchase. Recommended by the world's major cruise lines for superior service and value, Special Needs Group also services guests visiting hotels, resorts, theme parks and convention centers. Special Needs Group is the only mobility and oxygen equipment supplier that is approved to deliver to all major cruise lines. Special Needs Group is the industry's only total special needs travel solution. They are located at 302 NW 1st Street, Dania Beach, FL 33004. For more information, visit www.specialneedsgroup.com or call 1-800-513-4515.